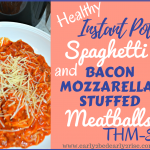 Isn’t an Instant Pot spaghetti and meatballs dinner a dream come true?! Maybe it’s because mozzarella-stuffed bacon meatballs are so delicious. Maybe it’s because pasta is the best food ever invented. Whatever the reason, when you’re trying to eat healthy (especially when you’re following the Trim Healthy Mama plan), you need to find a way to make it delicious and slimming. Even better, make it all in one pot so there’s less dishes afterwards! Enter Dreamfields pasta and an instant pot. This combination will solve your spaghetti, weight loss, and I-don’t-wanna-wash-all-the-dishes needs. I love a delicious spaghetti and meatball supper. Maybe it’s because my great-great-great grandmother was Italian and all of my Italian genes went to my tongue (I am super pale with light hair). If you’re following the Trim Healthy Mama plan like I am, then Dreamfields is your new pasta BFF. Dreamfields pasta is designed to have a lower glycemic index response, which means that it’s not supposed to spike your blood sugar levels after you eat it like traditional white flour spaghetti. The matrix of the pasta itself is designed to reduce the carbohydrate amount. It is thought that reheating this pasta can damage the matrix, and it can lose its ability to keep out the carbs. 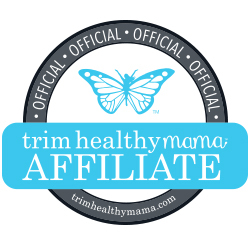 Dreamfields is considered a personal choice item for Trim Healthy Mama that you can have once a week if your body can tolerate it. We use it and love it because it tastes like off plan pasta (and even better than that whole wheat stuff I bought for years while being healthier!). As a holistic healthcare provider, I’m always happy to keep meals blood-sugar friendly. I’ve treated so many patients for diabetes and it’s complications, and it’s exciting to know that choices that we make in the kitchen can positively affect on our health and bloodwork. If you are a diabetic, please check your blood sugar and make sure that Dreamfields is a good choice for your own body. I’ve got a spaghetti squash version of this recipe in the works, but it’s not quite ready for the reveal yet! Unfortunately, if you have leftovers please don’t reheat it, or it becomes an off plan item. You can store the pasta and the meatballs and sauce separately and reheat the sauce and than pour it over the pasta to keep its low carb qualities. Need I say more? Bacon. Mozzarella cheese. Meatballs. Yum. I developed this meatball recipe years ago, and it’s pretty much how my husband fell in love with me (okay, probably not totally true, but I think it did play a role 😉 ). We were newly dating and saw a commercial on TV for the Food Network. It was advertising a chef making mozzarella stuffed bacon meatballs. My husband’s roommate was in the room with us, and I watched as both boys started drooling over these meatballs. I knew I had to make this for them. The next night, the three of us dined on mozzarella stuffed bacon meatballs, and I’m pretty sure that’s the night my husband fell in love with me. Two years of courting, a wonderful wedding, several years of married bliss, and two children later, Instant Pot spaghetti and meatballs was born. This spring, after the birth of our second little princess, I realized all of my meals need to be super easy. And ideally, they need to all be in one pot. Instant Pot Spaghetti and Meatballs makes all of this possible. If you’ve noticed a huge spike in one pot meals here on my blog, it’s because mama ain’t got time to wash dishes and cook on the same day. The pasta in the instant pot is really good, but sometimes reminds me of the consistency of SpaghettiOs. It’s great for an easy weeknight dinner, but sometimes I still make my meatballs and pasta separately when I’m being fancy. If you don’t have an Instant Pot yet, let me sing its praises for a minute. It is a busy mama’s new best friend. With an Instant Pot, you can go from frozen meat to a piping hot, fully cooked dinner in 40 minutes or less. It’s that good. An Instant Pot is a pressure cooker, and the modern Instant Pots have multiple functions. I use mine to make yogurt, you can make cakes, and I hear it makes a great pot of rice. If you really want to take this recipe over the top, use fresh mozzarella for the center. I wrote the recipe with cheese sticks as an ingredient because they’re easy to find and portion out, but if you can find the little pearls of fresh mozzarella, this recipe is pure bliss. You can also add some fresh mozzarella, shredded Parmesan cheese, or fresh basil to the top for a delicious garnish. This recipe is out of this world with grass fed ground beef. It adds extra flavor to the meat that’s amazing. I have found some the best flavored meet at the best price comes from ButcherBox, and it gets delivered right to my door. You can try it HERE and get $10 off and a free package of sugar-free, nitrate-free bacon! 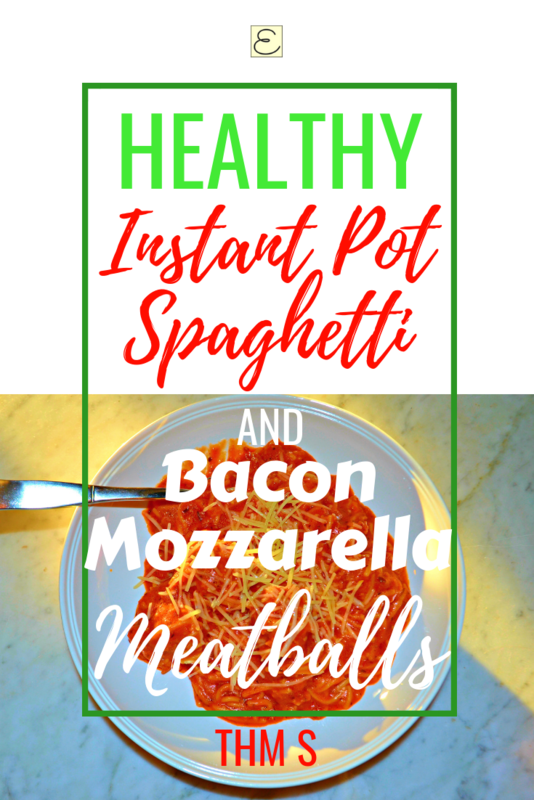 Because this whole recipe of Instant Pot Spaghetti and Meatballs is all about easy, I use packaged bags of bacon bits. But you do you. Please feel free to sub that for turkey bacon bits or cook up some bacon and cut it into small pieces. This is about whatever works for your family and your healthy life. 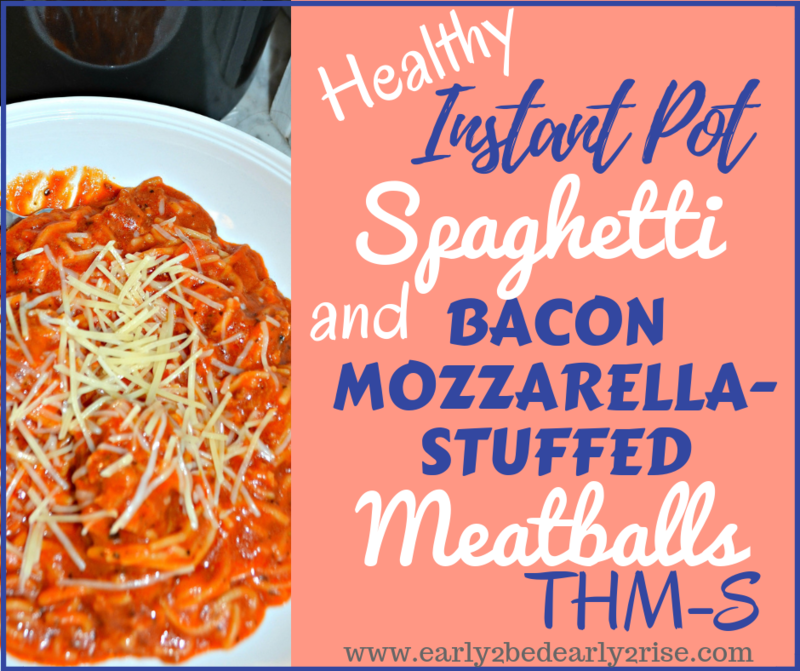 Low Carb Spaghetti + Bacon + Mozzarella + Meatballs = Super yummy and weight-friendly supper! This speedy dinner is made all in one pot to save you time in prep and washing dishes, and the low carb-iness will save your waistline! What's not to love?! Spray the bottom of the Instant Pot with coconut cooking spray. Make Meatballs: Cut cheese sticks into total of 12 equal pieces. Combine meat, spices, ground oats, bacon, and egg in a large bowl. Use ice cream scoop and scoop out a portion of meat. Place 1 piece of cheese stick in the center of each portion of meat and cover completely with meatball mixture, shaping into a ball. Place meatball at bottom of Instant Pot and repeat until you have 11-12 meatballs. Pour olive oil, sauces, water, spices, and stevia on top of everything in the Instant Pot. 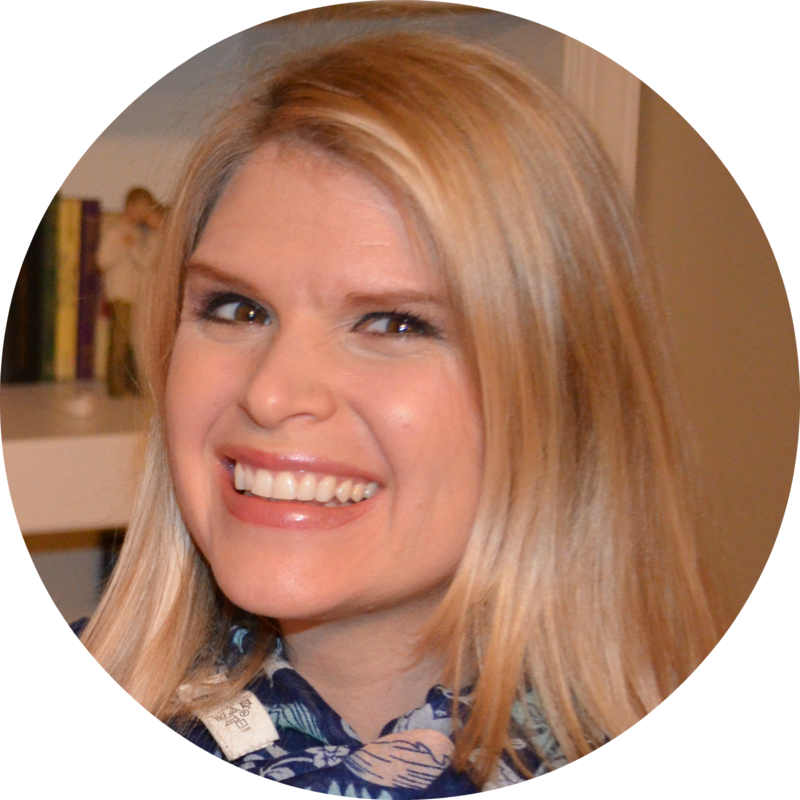 Stay On Plan with THM and Supercharge Your Weight Loss Goals- Staying on plan and losing weight just got a TON easier with this amazing health and wellness planner! As a holistic healthcare provider and 4 year THM vet, I’ve seen how my patients crush their health and weight loss goals when they have the right tools. Grab yours HERE! One question- I’ve worried to throw in beef that has too high of a percentage of fat that the result may be too fatty/oily. What percent fat meat do you use? Hi, Christine! I’ve used 80/20 and 70/30 beef for this, and they’ve both come out great! We tend to prefer a fattier cut for meatballs as it ends up more juicy. The IP version of spaghetti and meatballs has actually been less greasy for us than when I make meatballs on the stove top (especially if I’m too lazy to drain the fat ;). The noodles seem to absorb the oils while cooking, even with the extra olive oil we added to keep the noodles from sticking. 🙂 Hope that helps! This sounds amazing! I will make it with the mozzarella pearls and regular nitrate free, sugar-free bacon! I will let you know how it goes!